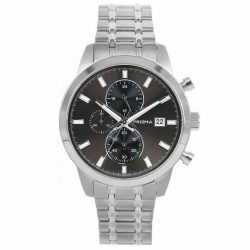 Beautiful chronograph watches are a cool accessory for the man. 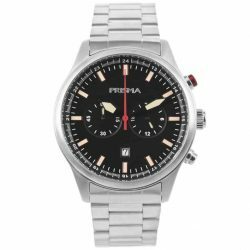 Prisma currently only sells chronograph men’s watches. 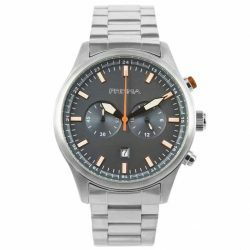 If you do not need a stopwatch function, but do appreciate the sporty design, you can also look at the multifunction watches. 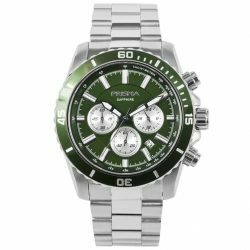 Many men have a chronograph watch in their collection. And that is not surprising, because it is of course in the first place a very striking accessory. Furthermore, it is very handy. Because in addition to a day, date and a 24-hour display, a chrono also has a stopwatch function. Improve your sports performance with accurate measurements. The chrono looks advanced, but is also super handy especially for athletes. This is how runners measure how long they take a certain distance. Swimmers like to keep up with a chrono whether they have improved the time at their distance. 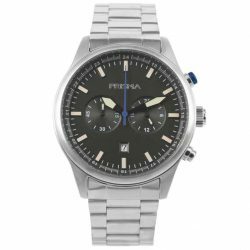 No matter which buttons you use for different functions, the functions themselves are always present with a chronograph watch. 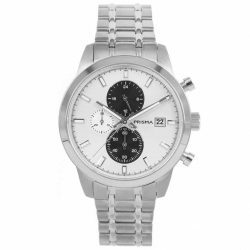 The first chronograph watches were produced in the 18th century. They became really popular from the year 1820. 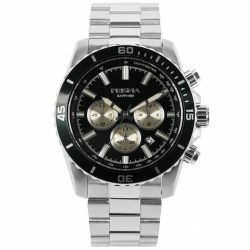 The term ‘chronograph’ is sometimes confused with ‘chronometer’. A stopwatch is a timepiece with a timestamp that meets a certain high accuracy standard. Only 3% of all Swiss watches can bear this name. The word literally means ‘time’ (chronos) and ‘I write’ (grapho). So it is a combination of two Greek words. 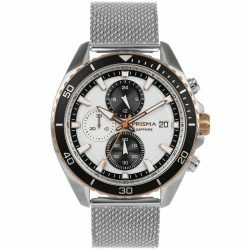 How do I use the chronograph function? A chrono is very easy to use. At the beginning and at the end of your measurement, you press the button on the side of the watch case. Using the second hand and smaller dials you can read how much time has passed. Actually, you operate the function with just one push of a button on the side of the watch. 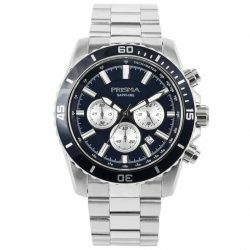 The chronograph watches from Prisma are made of titanium or high quality stainless steel. All models have a cool matching watch strap with a contrasting dial. If you only like the design, you can also see more models in Multifunctions.